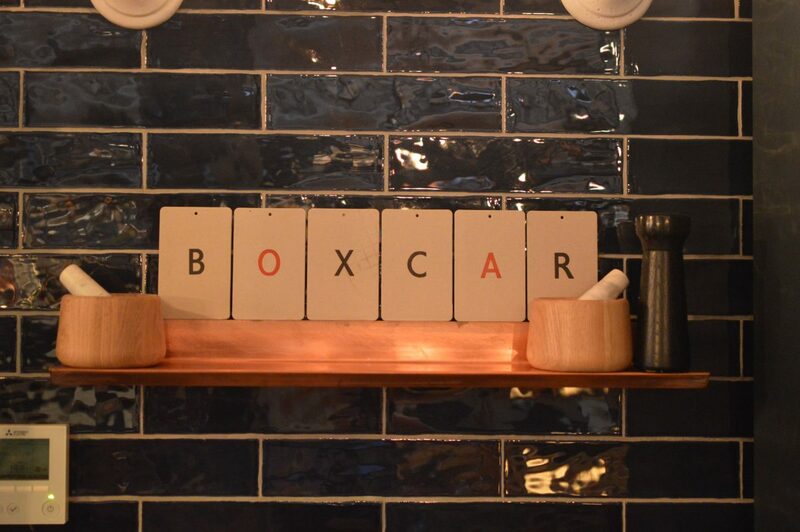 If you love meat, Boxcar Restaurant in Marylebone is the place for you! This independent butcher and grill source ethically reared meat from British farms ensuring high quality to their produce. The quirky decor inside was a refreshing haven to relax and enjoy good food. We were greeted promptly by friendly staff and offered a table inside or outside. 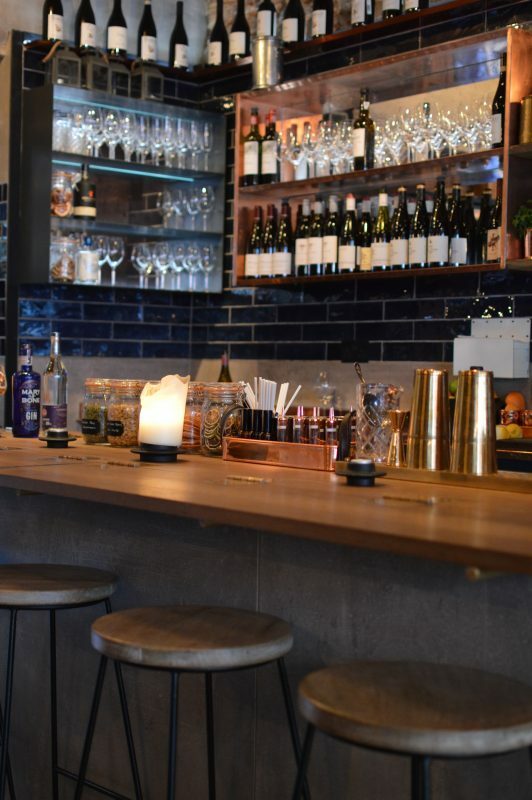 Within the restaurant itself there is also a large dining area downstairs with the view of the open kitchen and also a lovely little back room. Deciding what drink to have on the cocktail list was difficult and trying them all would have been a dangerous decision! We decided on the Boxcar G&T. 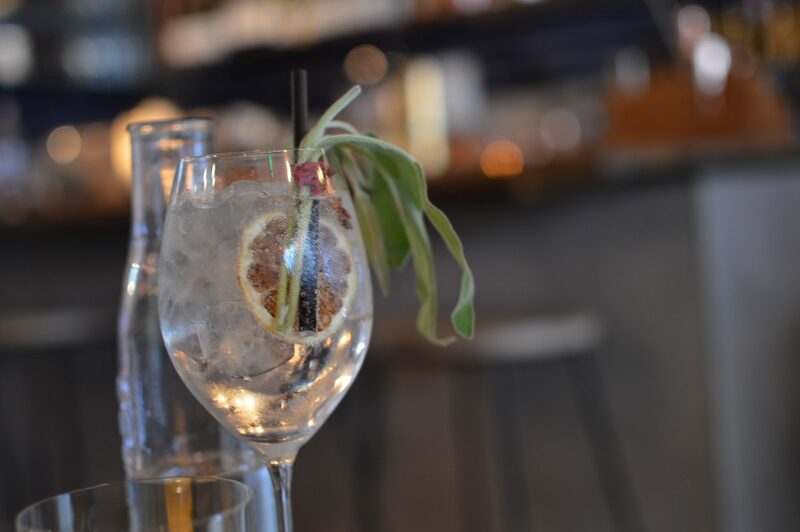 On a hot evening it was particularly refreshing with the lemongrass tonic, perfumed with the hibiscus flower and a huge sprig of sage, brilliantly teamed with City of London gin. 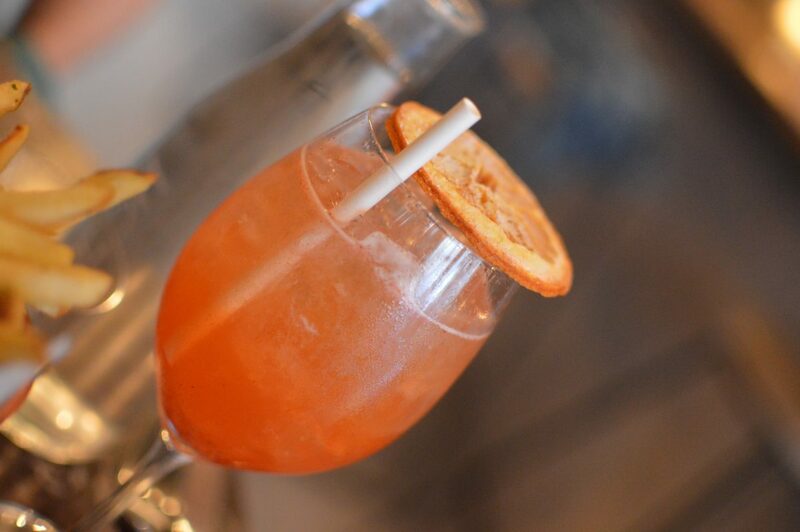 It was delicious, and went down far too easily… We also tried the Spice Season, a complete contrast with its bright, vibrant colour and warming notes. These pretty cocktails were a brilliant start while perusing the menu. What more can we say? From a smaller selection of regular cuts on the menu, to the huge array of select butcher cuts on the daily board there were lots to choose from! 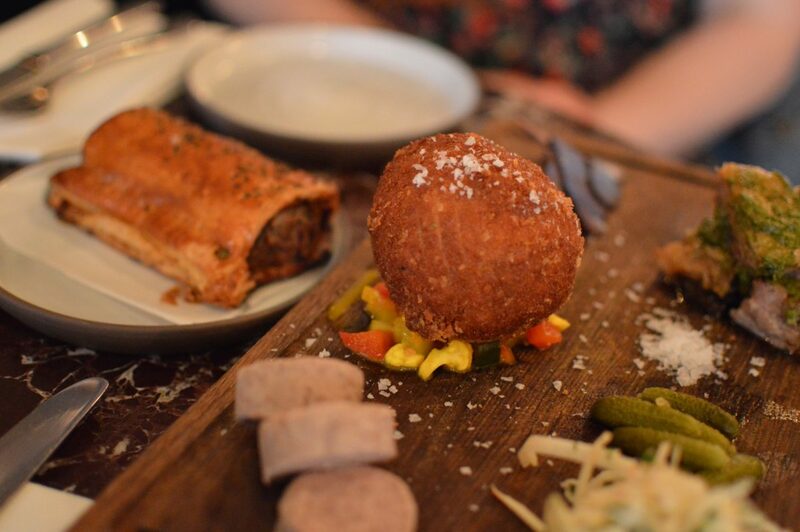 To start we went for the Butcher’s Board with a ham hock scotch egg, Smoked duck rilette, chargrilled lamb belly ribs with mint sauce. It was the perfect size to be shared between 2 and showcased a selection of quality meats cooked to perfection. 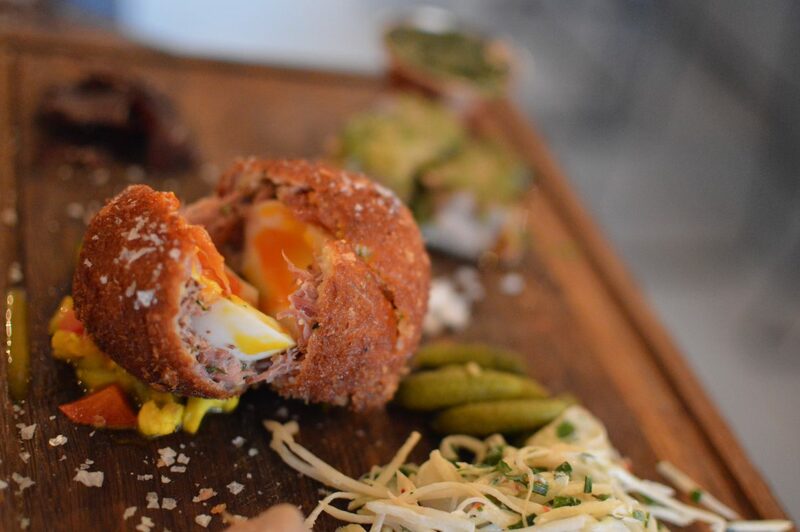 The scotch egg was particularly amazing! With the ham hock encasing the perfectly cooked soft boiled egg it was sheer perfection. If that was not enough of a starter for 2, we also opted for a sausage roll which was also incredible! Once we had calmed down from the sheer excitement of the Scotch egg, it was time for the steaks. They were so amazing but then again what would you expect from a butcher and grill? 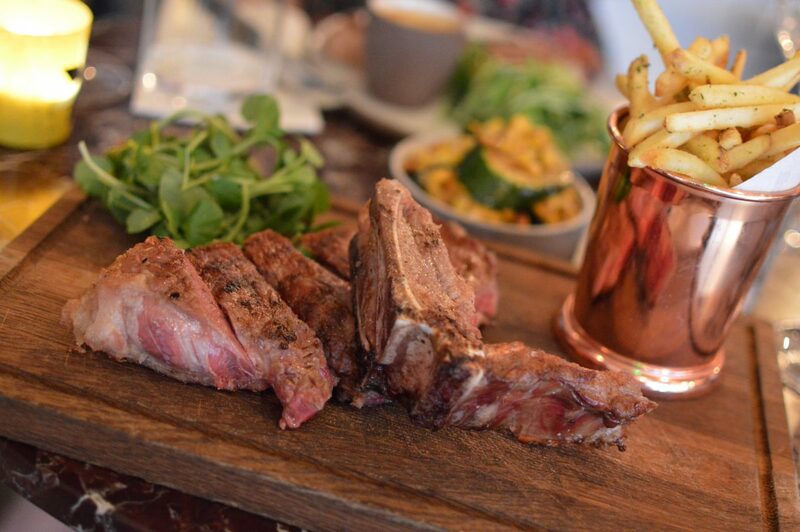 We opted for the 500g Bone in Sirloin from the specials board and the Boxcar Steak off the main menu. Both cooked medium rare and served with rosemary fries and peppercorn sauce. 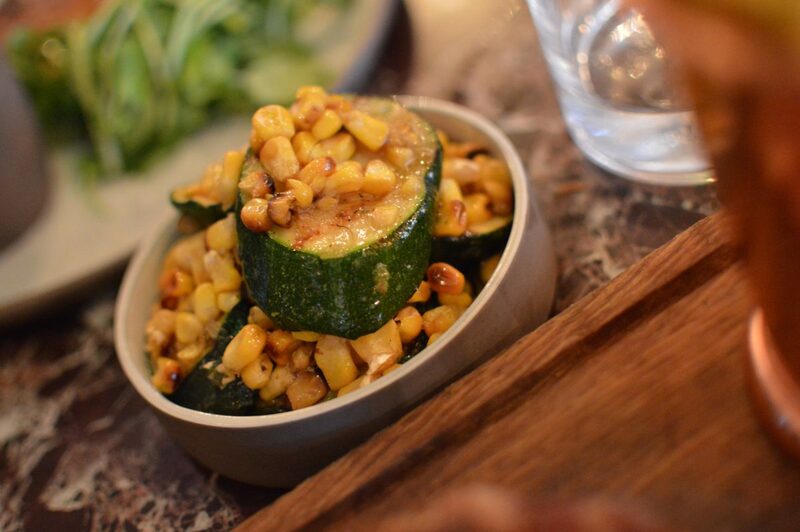 We also had a cheeky side of grilled courgette and sweetcorn. 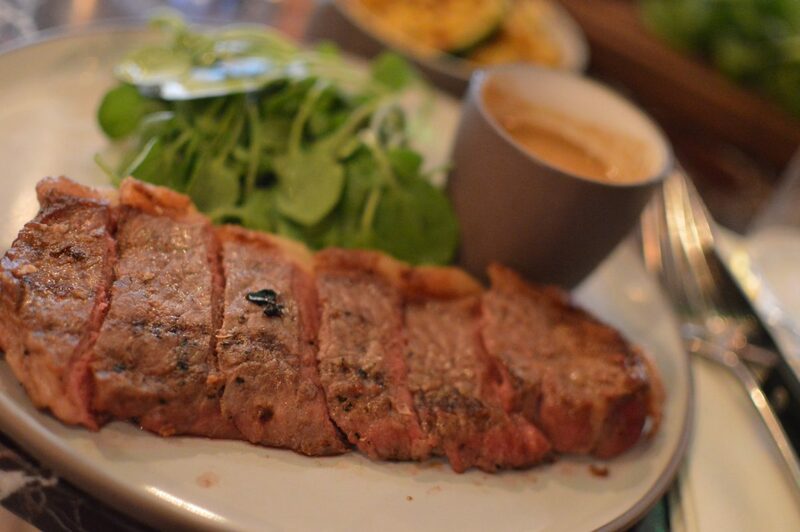 The steaks were tasty, flavourful and deliciously tender – a carnivore’s dream! Alas, our eyes were bigger than our bellies and we had to take some home – we don’t do food wastage. Now if steak is not your thing there are many other options to choose from. With roast dinners on Sundays, burgers (with veggie options), seasonal fish and chicken pies, the selection is wide! After stuffing my face with an incredible amount of meat I didn’t think I could face anything else. However, 3 simple words: Dark Chocolate Tart just called to me. 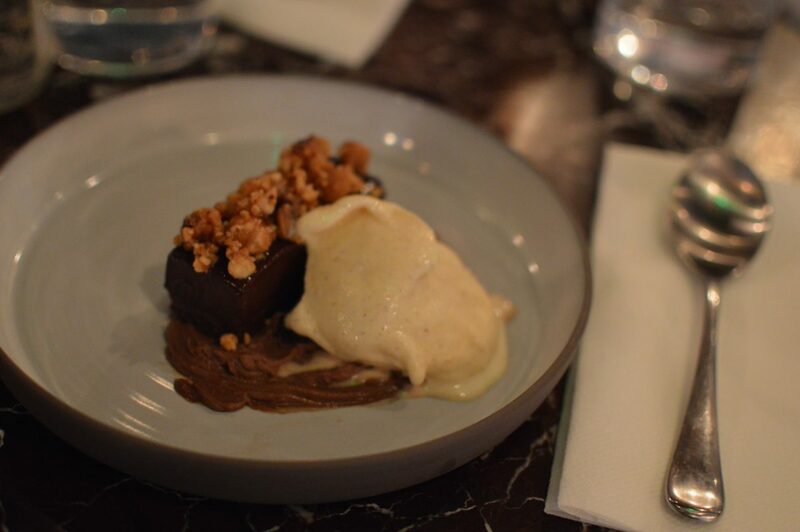 Served with a hazelnut praline and a dollop of ice cream it was to die for! Delicious and moreish without being too sickly, this was a slice of heavenly goodness. With all the meat, cocktails, lovely design features and attentive, lovely servers, Boxcar made for a wonderful evening out. 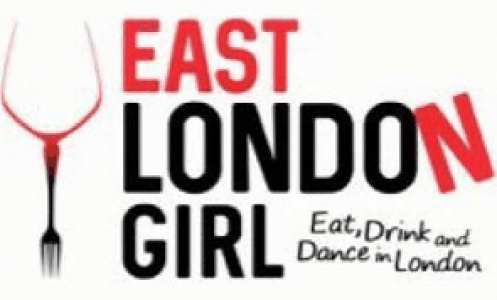 Its calm, relaxed atmosphere and incredible selection of good quality meats really shouldn’t be missed. Make sure you check out the Butcher’s fridges too to see their amazing selection of meats to take home. 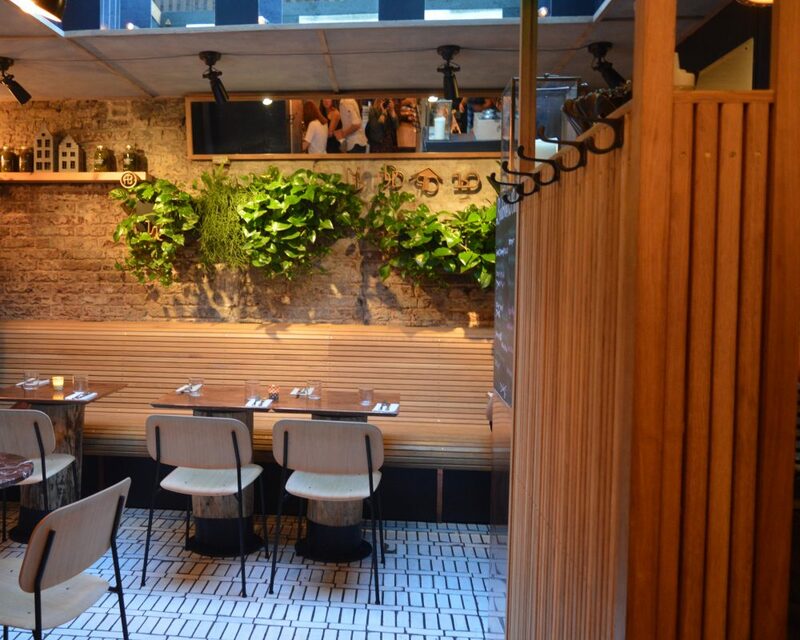 Overall, we loved our visit to Boxcar Restaurant in Marylebone and would definitely recommend.